Day 1: Board in Split and head directly to the nearby island of Solat to anchor near Rogac, a hamlet of the village of Grohote on the northern coast of the island of Solta. 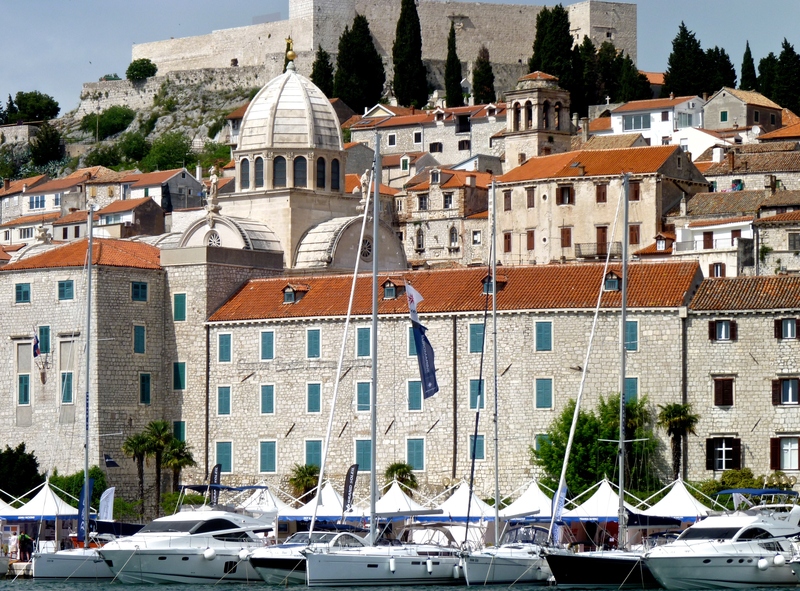 In the port, there is a citadel dating back to the 17th century. The church of St. Therese has an altarpiece with the portrait of the donor from 1749. The cove of Banje features the remains of a Roman fishpond. Relax, unwind and enjoy being on board. This is a great location to take a dip or enjoy water toys while waiting for dinner on deck on board. Overnight on anchor. 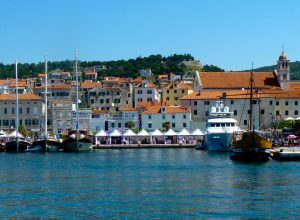 Day 2: In the morning cruise north to Rogoznica, a small town in a well-protected bay, where any number of anchorages are available, along with beaches, and great swimming and water sports locations. The locals have always been great fishermen, and fresh fish is abundantly available. Also, try a local favorite, Rogoznica Stew. The town is lovely with many old-style stone buildings still standing. Overnight in a secluded bay on anchor. Day 3: Cruise to Primosten area, with little islands off the main town, that was once on an island until locals connected the island to the mainland in the 1600’s. This is a beautiful location, again with a choice of anchorages in which to stop, have lunch and enjoy a swim. 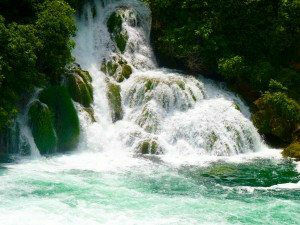 The beaches around Primosten are included in the top 10 list of beaches in Croatia. Cruise in the afternoon to Sibenik. Sibenick is the oldest Croatian town on the Adriatic, and is unique because of its extraordinary location in the picturesque and wide bay at the mouth of the River Krka. It lies on the slopes of the hills in the northern part of the bay, surrounded by three fortresses: St. Michaels, St. Johns, and Subicevac. 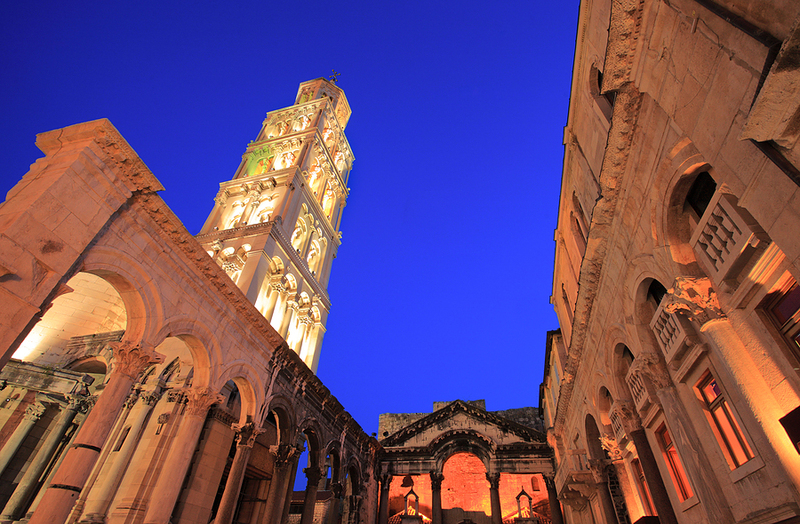 The dome of Sibenik Cathedral of ST. James, a UNESCO World Heritage Site, towers over the main port. Come in quay side to explore the little walking streets of Old Sibenik along with the Cathedral. Overnight on anchor. 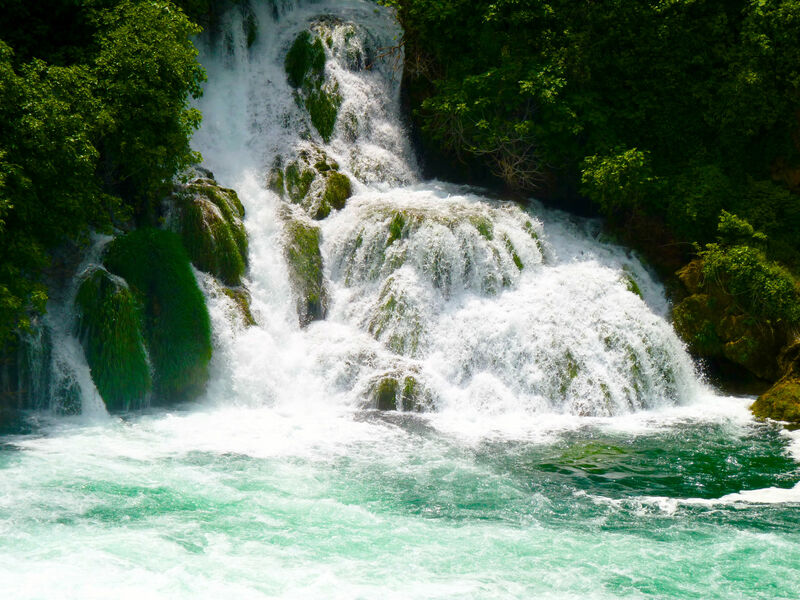 Day 4: Cruise further up the estuary of the Krka River to the Krka National Park headed by beautiful waterfalls, the color of which is highlighted with visual effects from the natural deposits of calcium carbonate. The estuary opens before the waterfalls into a massive clear natural pool. Within the national park are the ruins of unpreserved fortresses, some dating back to Roman times and the lovely little island of Visovac, which is home to the medieval Visovac monastery. Later, in the afternoon cruise back down the Krka River to Pvric Island just outside of the mouth of the Krka River and in the Sibenik Archipelago. Anchor overnight around Pvric Island. Day 5: Cruise to the Kornati Islands to overnight. The Kornati Islands are an archipelago of 140 islands in a 35 kilometer area; the most southern of these islands are part of a national park. This is a gorgeous undeveloped area, offering any number of anchorage choices, all with beautiful water. 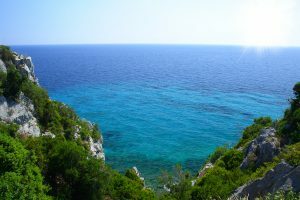 While generally uninhabited today, this group of islands were very popular with past civilizations, especially the Romans as archeological sites in Strazisce, Tarac, Levrnaka and Lavsa show an active life on these islands during the Roman era, with the remains of many buildings and rock quarries. The Kornati Islands are a terrific location in which to snorkel, and as marine life is protected in the National Park, expect to see many fish, and perhaps Dolphins cavorting in yacht wake. Overnight on anchor. 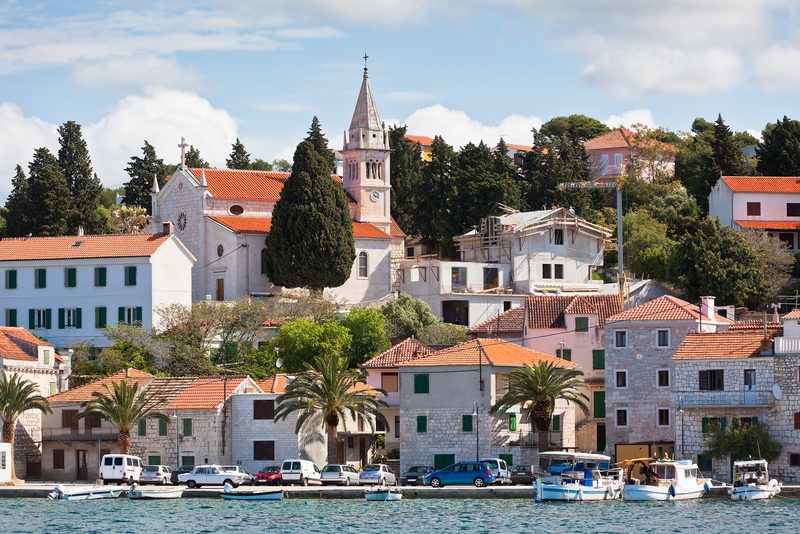 Day 6: Cruise through the Kornati Archipelago towards Pasman Island and Zadar. 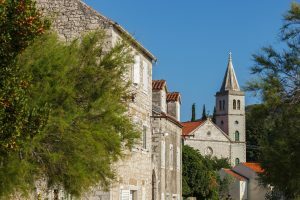 Between Pasman Island and Zadar is the naturally heart shaped island of Galesnjak, called the island for lovers, a fun location to stop and perhaps anchor for lunch. Continue to Zadar to overnight. The church of St. Donat, the symbol of the city, is a must to include in any itinerary, as well as the museums of Zadar: the Archaeological Museum (est. 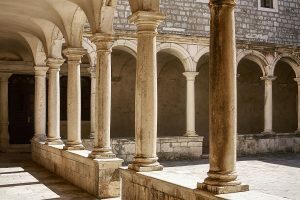 in 1830), one of the most important in Croatia, with about 80,000 exhibits from the Stone Age to the late Middle Ages, the National Museum with the Art Gallery and the Department of Natural Sciences, as well as the Permanent Exhibition of Sacral Art. 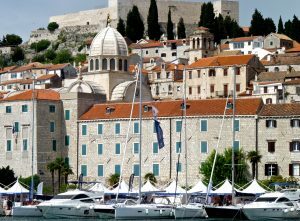 Day 7: Cruise back towards Sibenik, stopping to overnight on anchor at Zlarin Island, one of the islands in the Sibenik Archipelago. 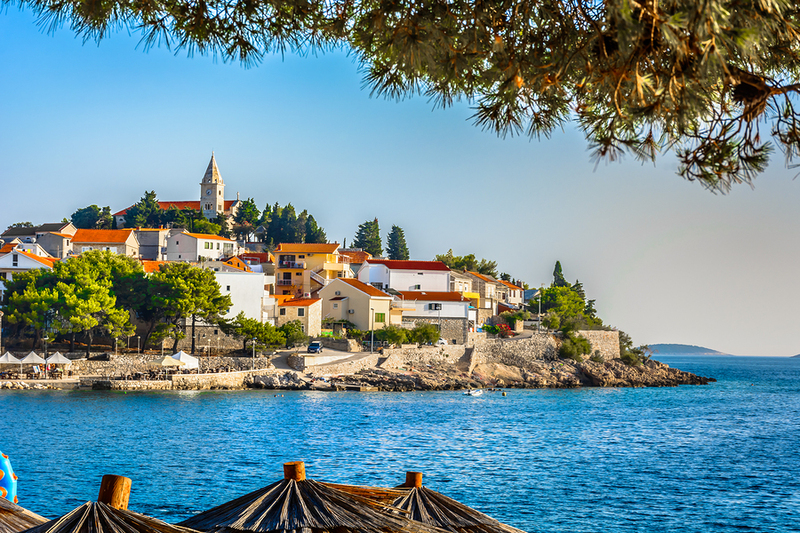 An island of fishermen, Zlarin was well known as a center for crafting jewelry out of the local red coral. This is a very sleepy island, nicknamed the “Golden Island” due to the natural beauty. 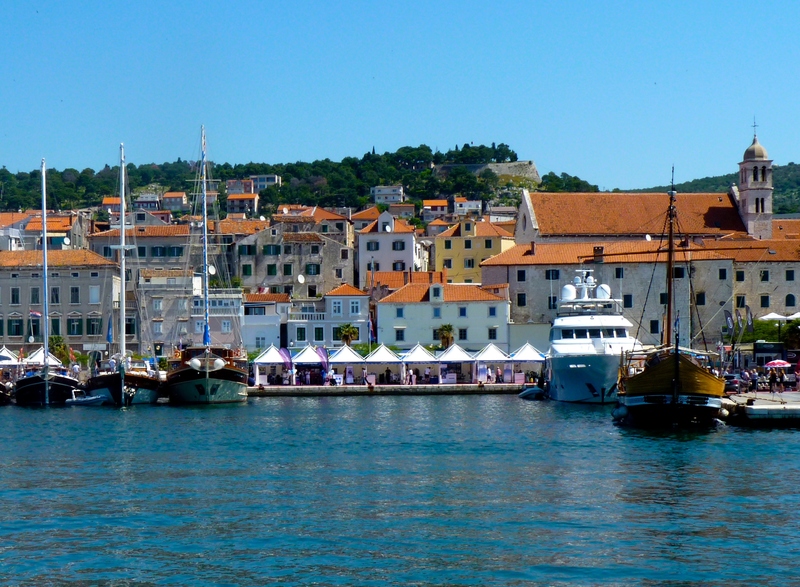 Day 8: Disembark in Sibenik.